- the light outside is still being dark. - the stairs (above bath) is never long enough, how to fix this? 1. "Opzet begane grond" did not render because the template is a bit of a mess. "Woonruimte" rendered fine. 2. To fix the flooring delete one outside wall in each section and redraw (preferably the smallest wall). The default floor should show up again and then you can change to whatever you want. 3. 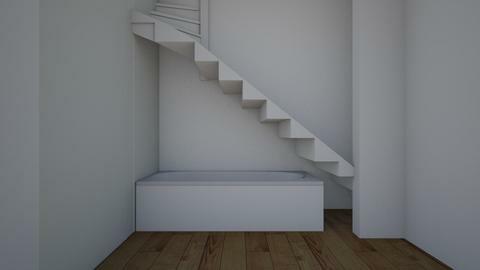 There are different sized stairs, the one that fits best has a turn at the top. 4. Stub wall. A wall needs to be attached at both ends to another wall otherwise it will disappear when the design renders. So to create a stub wall click on the blue dot and pull the wall through to the center of the opposite wall. Then put in a door opening (the one without the trim) and adjust the opening leaving a stub wall. Floorplanner.com is the place to go for a complete floor plan. Roomstyler.com is better if you want to create individual rooms. When you have several rooms sharing walls, wall items tend to pop to the "wrong" side since the program does not recognize inside/outside walls. To fix this delete and re-draw the wall or create a double wall. I've fixed your template - the black walls are the ones that were deleted and re-drawn. Just click on "remix" and "save as", it will appear on your profile and you can continue. My name will not show on your copy and I will delete mine later. Hi 321, you need to save your design with the green "take a 3D photo" button under the camera view/preview box. Then on your main image page, refresh a few times until the new rendered image appears.